Even through the height of his Illinois-based popularity I have never seen Sufjan Stevens live before, so his inclusion in this year’s Sydney Festival lineup immediately shot him to the top of my must-see-gigs-of-2011 list. I’d been a little wary of Steven’s lastest album The Age of Ads with all its bombast and electro flourishes (despite all the press Timber and Steel gave the album I still haven’t fully warmed to it) but was resigned to the fact that the show would probably focus on the new material over his softer, folkier back catalogue. And from his appearance on Jimmy Fallon late last year I also expected fluro, Lots of fluro. Sufjan Steven’s support act was Owen Pallett, an artist I’d heard so much about but hadn’t managed to listen to until this night. For the uninitiated Pallett is a solo violinist (and sometime keyboardist) who utilises effect and looping pedals (in the same vein as Andrew Bird or Colm Mac Con Iomaire) to create a rich, soaring musical landscape. Owen Pallett absolutely blew me away with his mastery over his chosen instrument and the way he was able to weave melodies and rhythms into each other to create a rich sonic tapestry. What sets Pallett apart from his contemporaries is his liberal use of the effects pedal to create an orchestral sound – drums, bass and keyboard sounds all emanated from Pallett’s violin. Some of the tracks that Owen Pallett played in the middle of the set (forgive me for knowing none of the names) were probably a little too avant-garde for my tastes but his more classical numbers, particularly the piece that finished his set, were just too stunning for words. The roar of the crowd when Sufjan Stevens and Co. made there way on stage is probably the most deafening I have ever heard at the Sydney Opera House. Sporting an 8 piece backing band that included two drummers (I know, two drummers) and wearing head to toe fluro, Sufjan Stevens said his quick hellos and then launched into the 20 minute long title track from last year’s EP, “All Delighted People”. The audience were enraptured right from the start, promptly raising their hands when to the songs “all delighted people raise your hands” lyric giving the concert hall the feeling of an evangelical church. I’ve long considered Stevens’ two releases last year, All Delighted People and Age of Ads, as book ends to the different stages in his career. All Delighted People is still very much a folk album despite it orchestral intentions and seems to be Sufjan Stevens’ way of saying “I just need to get this out before starting something new”. Age of Ads starts with “Futile Devices” that is like a memory of All Delighted People before launching into the new electro-Sufjan of “Too Much” (and the rest of the album). Similarly, the concert on Friday, started with “All Delighted People” and then moved straight into “Too Much”, almost as a way of saying “goodbye to old Sufjan and hello to new”. And new it was. I’m not sure how many people in the audience were expecting gentle, banjo-driven contemplations on middle-America but instead what we were treated to was an absolute sonic barrage. Stevens admitted that he’d spent much of the last two years experimenting and playing with electronic and synthesizer sounds which have adapted to the live setting – the synths and drum machines are still there but now they’re complimented with horns, guitars and even recorders. Sufjan Steven’s entire set was not just the bombasity of Age of Ads – it was also peppered with quieter folk numbers, the majority from All Delighted People. Stevens had taken a huge risk playing nothing from his popular “50 States” albums but it seemed to pay off – the crowd around me who had been muttering “I hope it’s not all like this” at the beginning while Stevens and his backing singers showed off their fluro-go-go-dancing moves were same crowd who were on their feet applauding at the end of the 2 hour set. And almost as a thank-you-for-putting-up-with-my-new-sound Sufjan Stevens returned to the stage at the end of the night in a regular t-shirt to perform a trio of classic songs from Illinois – “Concerning The UFO Siting Near Highland, Illinois”, “John Wayne Gacy, Jr.” and “Chicago”. While these three tracks certainly got the biggest reaction from the crowd they really felt like a sweetened bonus to what was already an amazing night. After seeing Sufjan Stevens post-Age of Ads I’m not sure I can rightfully claim him as a folk musician anymore. But that said I’m not sure I could have asked for anything more from the man. The show was what every concert should be – a performance. 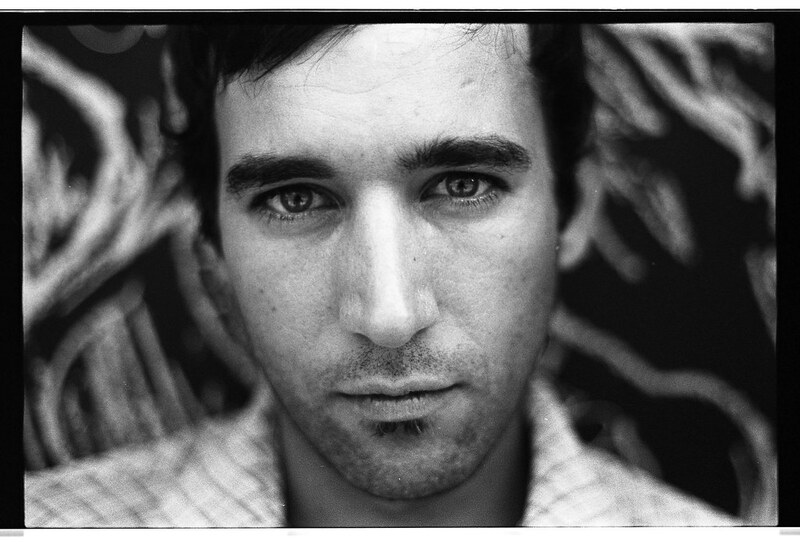 Sufjan Stevens has managed to reinvent himself without losing any of his passion or vigour. I will always be a fan of his back catalogue but if you asked me whether I’d go and see an Age of Ads based show again I would. In a heartbeat. On Friday, Adelaide Correspondent Thom Miles took the time out to chat to Shane Howard – the man behind Goanna, and the first artist to use popular songs to bring indigenous issues to the forefront of Australian pop-culture. Ahead of his special Womadelaide performance with fellow indigenous music legends Neil Murray and Archie Roach, Shane discussed all things from indigenous history, the “Three Iconic Songs” project, the process of publishing “Solid Rock”, The Black Arm Band, social progress in Australia, and everything in between. Shane Howard: It’s been a tough year for Archie. We’re old mates and neighbours these days, and yeah, it’s been a tough year for Archie losing his wife Ruby last February; it’s nearly been a year. And then he had health complications himself back in October when we were up in Turkey Creek in Western Australia. So it’s been a really challenging year, but his spirit is indomitable. He hasn’t been doing a lot of live performance work, so it’s really lovely that we’ve done a couple of these things together – Melbourne Writer’s Festival and Brisbane Writer’s Festival, but it’s really lovely to be bringing it to Womad. TM: Yeah, well with Archie‘s health in doubt I guess that would have cast a shadow over whether or not the Three Iconic Songs performance could go ahead. Was it a last-minute thing? SH: Well, we had an idea to do this before Archie had any health issues. He is keen to do this sort of work, and we have done some like I said. But I think he enjoys being with his brothers, with Neil and I, and not having to carry the show on his own but having the sense of a shared load. It’s really lovely travelling together and being together, it gives a sense of camaraderie. SH: It’s more about really being able to sit down and talk about the creation of those songs; what led to the formation of them, what led to the creation of them, the context of the time. Archie will be able to talk about the deeply personal implications of being a member of the stolen generation, and it’s the impact of that at the time, and the resonance and the complications and the consequences of that even this far down the track. For myself, being able to talk about how “Solid Rock” was written, and Neil Murray and I have often talked about this; what led two white fellas to become so deeply involved with Aboriginal Australia. It’s an interesting discussion and exploration, and of course it’s open ended so we’re able to not only sing the songs and perform, but also explore the territory, to talk in detail about the social realities at the time the songs were written, but also the implications for where we are now as a nation. Of course, the books had a very practical focus. They’re part of the Ian Thrope “Fountain For Youth” project, which is an indigenous literacy project, and it just means that for indigenous kids- the resources are quite minimal, and this gives them stories and songs that they can relate to much more personally. In the case of “Solid Rock” it was really beautiful to have it translated. To go and work with the children out at Mutitjulu and Uluru who did a number of illustrations for the books, and also then to have it translated into Pitjantjara. So it’s not just in English, it’s bi-lingual, having that opportunity had a great and deeper sense of ownership. And at a practical level; a quarter of the proceeds of the sales go back to the community for literary resources, for art resources and for music resources. So it has a really practical outcome, and we’ve been able to raise somewhere between 10 and 15 thousand dollars already, which is great. It ensures an ongoing relationship with the community as well. TM: Brilliant! The performance itself is mostly educational then, I guess? SH: Yeah… Conversational. It’s performing the songs, but it’s also conversational, in the sense of a forum I guess. We’re there for people as well to ask questions, rather than just a straightforward musical performance. TM: From my experience, Womadelaide audiences are incredibly varied in age. For some people, your performance of iconic songs might give them a chance to reflect and reminisce, but on the other hand there’ll be a lot of people like me who are aware of the music but were born long after songs like “Solid Rock” were released, and have of course missed the entire cultural significance of those songs. Is it hard to cater for all of those people at once? SH: Yeah, it’s interesting to reflect on the fact that back in 1982 when “Solid Rock” was released and we started touring Australia with Goanna, Australia was a deeply racist country. We’ve come a long way in the last 30 years- next year it’s 30 years since “Solid Rock” was released- I must be getting old. It is important and interesting I think to reflect on how far Australia’s come in terms of what Bill Stanner the anthropologist used to call “The Cult of Forgetfulness” that developed in Australia. We’d just arranged the window in such a way that we failed to see Aboriginal people even though they were there. It’s important to reflect on that kind of history. I’ve seen an SBS series recently about the history of immigration to Australia, and a lot of young people would probably find it shocking to see how deeply racist and almost white supremacist early Australia was at the turn of the century. So there’s a whole evolution and whole story in terms of our… well the reality was that white Australia’s prosperity has come on the back of Aboriginal misery. I think for the first time in this contemporary era we’re able to look at it in a mature way and understand our journey as a nation- towards a much more enlightened and compassionate view. SH: Yeah I’m a member of Black Arm Band and part of that film. I’ve been involved in that as a founding member, and Leah Flanagan has come into that Black Arm Band ensemble as well, so I’ve gotten to know Leah who’s a beautiful talent through that ensemble and touring around the country and overseas to Womad UK, but as well into remote Aboriginal communities; taking the message back out there into the communities as well as the arts festivals. Now, there’s so many great indigenous artists and it’s true that Womad has done so much to break down – expose us to so much international cultural music – and to break down so many of those boundaries. It’s true – the old saying: once you know someone, fear and ignorance drop away – and fear and ignorance is the basis or racism, really. TM: Absolutely. At Womad people find music from cultures that mightn’t ever heard of. It’s celebrated in such a way that it makes it impossible for people to view diversity negatively – just an impossible environment for hostility to be harboured. SH: One of the great things I see about the new generation coming through – and that’s my children. In many ways my generation had to build bridges between black and white Australia, we built bridges between religious divides, racial divides, cultural divides. The great thing is; I see my grown up kids- they don’t have to build those bridges. They cross them easily, and this generation that’s coming through now- they don’t see that kind of difference that used to exist in the old days- they just embrace diversity. It really is an amazing world that we live in now, that it’s globally connected, there’s incredible respect for each-other in terms of our cultural identity and the diversity of music that festivals bring, particularly to places like Womad, is just extraordinary. One of the great memories for me, Thom, was going and playing with The Black Arm Band at Womad in The UK and Peter Gabriel, who founded Womad, was playing too, and just to see Aboriginal music take it’s place alongside Arabic music and African music and that great pool of cultural music from around the world – and Aboriginal music is now just seen as another dimension of that. TM: The project you’re working on now with Archie and Neil all began with Melbourne Writer’s Festival, is that right? SH: Yeah we did Melbourne Writer’s Festival and Brisbane Writer’s Festival, and it was interesting; I think it was the first time we’d really done something like that together. Normally we’re just on stage and we play and introduce the songs, but this was about going into detail about the creation of the song and the history of the circumstances that surround that. So it’s an intersting sweep through the cultural and historical reality. TM: Was it a coincidence that you’d all written books on these iconic songs at the same time? SH: No it wasn’t – it was a publisher from One Tree Hill, a small independent publisher, that came to us with the idea. They’d done a project with “From Little Things Big Things Grow”, with that song and with Gurindji children from out at Wave Hill and illustrating that. But then they came to us and said “Are you interested?”- and so I went to Uluru and it was much more hands on I guess in the way that we took ownership of the project and working with the community and the kids to develop the book, and there’s an ongoing relationship there now, seeing that it also helps in developing music, art and literary resources. For Archie, there’s a deeply personal dimension to “Took The Children Away” because his wife Ruby who passed away a year ago illustrated the book. it was one of the last things she did before she passed away suddenly. So it has a very deep resonance for Archie. For Neil, like all of us; we retraced our song-lines I think- the stories and the song-lines that created those songs. We re-walked those tracks, and that brings up all sorts of memories and we used all kind of acquaintances and friendships. So there’s a deep sense of connection with all that. TM: The three iconic songs obviously brought important issues into the foreground of popular culture at the time, and really forced people to think. In my opinion, it’s really important that that continues to happen – because for all the promise and optimism these songs have generated- it still seems like there’s so much that needs to be put right today and in the future. Do you think indigenous music can keep the ball rolling in that sense? SH: I think the future is potentially amazing, and like I said, a lot has changed in 30 years. There’s been real developments and real growth in this country in terms of Aboriginal empowerment – Like with The Black Arm Band – there are now Aboriginal people who are working at an administrative level, management structures, on stage at a technical level, and artists in the forefront creating foundations. All sorts of educational empowerment and opportunities that exist. I think for the new generation of young Aboriginal people coming through, the doors are wide open, and they can really explore and develop their potential to the fullest. I don’t think that was true of people of my generation 30 years ago. I think a lot of the doors were closed, and a lot of people have worked hard for a long period of time to address that situation and bring about change. It has happened but we’ve still got a long way to go in terms of addressing indigenous disadvantage, health education and opportunity, particularly people in remote communities are still very under-resourced. I don’t believe intervention is the way to go about it. The way forward is to really sit down with the people, from a government perspective, and really engage in meaningful dialogue. Sit down and listen. The people know what they want, and they know what needs to be done and we have the ability to create really meaningful partnerships now for the future. The reality is, as white fellas we can make a great contribution as well in those situations, but we can only help with white fella solutions, in terms of our world. I don’t think we can help Aboriginal people in the Aboriginal world. That’s their job, they just need the power to do it. We’ve come a long way, there’s a long way to go. In many ways it’s time for us old people to hand the baton on to the young people and say “make a greater future, make a brighter future all together. Make a great nation. Be a shining light in the world. Be inspired and inspiring. Become the country that we should become. Become our better selves.” I think that was true the day of Kevin Rudd’s apology – about 50% of people in Australia supported the apology before it happened, and after the event it was 75-80% that supported the apology, because I think as Australians we saw our better selves in that moment, and we really liked our better selves. SH: Well I do talk about that in the performance. It’s a bottomless and fascinating story, and I’ve been writing a book for the last 4 or 5 years that deals with a lot of that stuff on that subject, Thom. I’m curious myself as to what led me down that track. But I don’t know if I could answer it in a few minutes, Thom. I grew up with Aboriginal people around me, so it was inevitably a fact of life for me and brought up those big questions. But everything honours the mother and the father, so in many ways, my mother and father taught me about respect, and that’s probably the basis of it all. TM: Well I look forward to learning more about it at Womadelaide in March. SH: On ya, Thom. Thanks for taking the time. TM: Thanks for taking the time to talk to me! SH: See ya, Thom. See ya there. I was chatting to HUSKY frontman Husky Gawenda (see what they did there?) at their recent Sydney gig and he mentioned that fans would have an album to look forward to in the next couple of months. Well it looks as though that promise is starting to come to fruition today with HUSKY announcing a launch party for their new single “History’s Door” at the Evelyn Hotel in Melbourne on the 26th February. HUSKY will be joined by special guests The Hello Morning and Tash Parker. You can buy tickets to the gig (rumoured to be the last chance to catch HUSKY in Melbourne for some time) here. Those who have been fortunate enough to spend a period of their life overseas would be all too aware of the fascinating phenomenon which I like to call “The Location Bubble”. Basically, I’m referring to the concept of a person, or event, or idea, or sensation (or anything) receiving terrific public attention, but that which is geographically isolated and not far-reaching. Having spent a period of time outside of Australia, I can vouch the limited encroachment Australian music has made into the mainstream- particularly in England. I simply couldn’t believe it when I discovered that the friends I had made had never heard of Powderfinger or Silverchair or The Living End or any of the music that dominated the airwaves throughout my childhood. Even acts that tour internationally don’t seem to reach that podium of household name-ship outside of their own country- only the most major movements in history ever have the shear momentum to do so. Reflecting upon this, my thoughts turned to Geoffrey Gurrumul Yunupingu– a man who in the past few years has become an outright superstar in Australia. Effortlessly crossing what are usually perilously wide genre and generation gaps of listeners as if they were superficial cracks in the soil; Gurrumul is in my opinion the epitome of truly Australian folk music. Up to now, I have not written a word about him. I assumed his already enormous profile would mean I shouldn’t feel the need to; but I’ve decided that I’m not going to leave it to chance. For all those who’ve been inhibited by location or by anything else; it’s my pleasure to cordially introduce Geoffrey Gurrumul Yunupingu. Gurrumul is an indigenous Australian who was born without sight into a community on Elcho Island off the coast of Arnhem Land. From an early age it was evident that Gurrumul possessed something special. He began to explore music at the age of three when he received a toy piano as a gift. His curiosity then led him to piano accordion before picking up a guitar at age 5. Being left handed, Gurrumul made do by flipping the guitar upside down and learning to play back-to-front; the technique he still uses today as he plays in front of audiences all over the world. Gurrumul only speaks a few words of english, and sings the majority of his lyrics in the Yolngu language. Despite being a former member of Australian legends Yothu Yindi, and still being a part of Saltwater Band, Gurrumul is painfully shy. His good friend, collaborator and translator Michael Honen is the man that really made Gurrumul‘s solo venture possible. Honen recognised the voice as having the power to move people, and move people it has. It goes without saying that the odds were against Gurrumul, but the man has earned the right to play in front of fans and dignitaries all around the world, picked up a fine collection of awards and done his country and community proud. The reaction to Gurrumul‘s music, and especially his voice has been astonishing. People can’t help but get caught up in it. He surprised the nation by selling out a string of shows at the Sydney Opera House, even before he had fully peaked in popularity. At this stage, Gurrumul has only released one solo record, but given the reception it got, he will have no trouble selling copies of his next release, whenever it may come. This 6 piece from the slightly less cool Athens in Georgia, USA have dubbed themselves “psychedelic country”, which you must admit is creative. It’s also fairly fitting. There is definitely a swirling and hypnotic effect to their music. The session is just in a recording studio- it’s nothing too fancy, but the sound is fantastic, and the episode really makes you want to see them in concert. Along with their own song “Ski Chalet”, they play a couple of covers from The Velvet Underground and Smokey Robertson. Their debut album is available here for $10, or if you want some free tracks, they also did a Daytrotter Session late last year which you can find via this link. Whilst on the topic of Laundro Matinee sessions- an honourable mention must go to The Young Republic who recorded a great session recently as well. One of the tracks is embedded below. DeVotchKa are one of the most exciting acts in world music today. Their blend of traditional gypsy and Mediterranean sounds with modern indie-rock and folk has brought them a lot of attention in recent years; a little too much for their own good, as it happens. The Americans were set to release their first album since their 2008 offering A Mad & Faithful Telling on March 1st, but an entire month pre-maturely- newalbumreleases.net has leaked the album for download via this link. If you’re a fan of Beirut or burlesque (DeVotchKa often play as a backing band for burlesque shows), it’s definitely worth looking into these guys. They’ve released some fantastic albums in the last 10 years, including the score to the film “Little Miss Sunshine”, where Sufjan Stevens got his first taste of indie stardom. Speaking of high profile album leaks; one of the most anticipated albums so far this year in America was leaked a couple of days ago as well. Barton Hollow– the debut album from The Civil Wars is tipped to be a masterstroke from the indie folk two-piece whose debut EP Poison & Wine and their free live release have blown them up in a frenzy of hype. Newalbumreleases.net have the album for download here, or you can go to their myspace and just download the new single ethically and legally. Melbourne’s Goodnight Owl are heading into the studio to record their new EP, but before they do that they’ve treated us to their brand new single “Red Wolf”. The single was launched last week at The Grace Darling in Melbourne and can be listened to below. Let us know what you think. The LateNightTales series of compilation CDs takes a concept familiar to music fans around the world – the mixtape – and raises it to the next level. Each release sees a current “it” band (previous entries include Groove Armada, Belle & Sebastian, Turin Brakes, Air and Arctic Monkeys) and asks them to compile their favourite tracks to listen to late at night, throws in a cover from the band itself and packages it one easy to purchase bundle. The latest band to get LateNightTales treatment is US folk revivalists Midlake. Their compilation (according to the press release) will journey “across the plains of North America, the wilds of the British Isles and fleeting visits to Holland and Iceland. 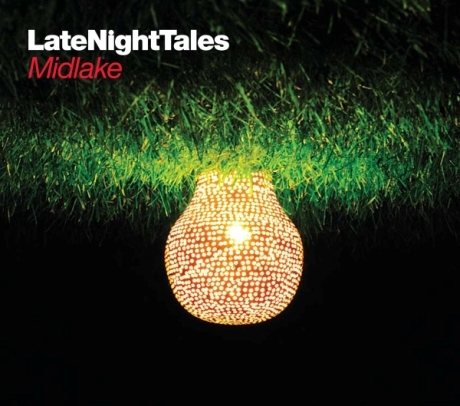 Midlake’s LateNightTales is a voyage through all that mesmerises and enchants”. The track list hasn’t been released as yet (this news has been leaked almost a week early so the record company has scrambled to get something official out) however fans can expect songs from Scott Walker, Bjork and Beach House. Fans of Midlake will also be pleased to know that an exclusive song by the band, an acoustic cover of Black Sabbath’s “Am I Going Insane”, will be part of the release. And to top it all off the final track will feature a spoken word short story written and read by Will Self titled “The Happy Detective”. The 28th March is the official release date for LateNightTales: Midlake. For more information check out the official site of the series here. When sifting through the monumental number of quality artists this year’s Sydney Festival trying to work out how many shows my budget would stretch to I almost passed on Colm Mac Con Iomaire. I didn’t know the name. I didn’t read his blurb or check out his web site. Then a friend pointed out that Colm Mac Con Iomaire was the fiddle player for both The Frames and The Swell Season, so I checked out his solo work on YouTube and was instantly hooked. It’s easy to box Irish music into the Riverdance/diddle-i-die stereotype and what is often forgotten is the soulful beauty of the genre’s slower airs and ballads. Colm Mac Con Iomaire is not a strict traditionalist by any stretch of the imagination (most of what he played on Wednesday were originals), but his music definitely stems from Irish trad. Colm Mac Con Iomaire began his set solo, deftly using his violin and a looping pedal to fill the Spiegeltent with hauntingly beautiful music. Initially hampered by what sounded like Mondo Rock (or a Mondo Rock cover band) playing the Australia Day concert in Hyde Park reverberating through the walls, Colm Mac Con Iomaire eventually found his groove and the audience were enamored. Gradually Colm Mac Con Iomaire brought his band The Hare’s Corner out on stage and as he did so his music became more and more traditional. The first few tracks were more classical in nature, but as he moved through the set they tended more towards airs and jigs (both traditional and written by Colm Mac Con Iomaire). The band added a pleasant depth to the music (despite the trumpeter bowing out of the night due to a bout of appendicitis) but to be honest I would have been just as happy to watch Colm Mac Con Iomaire all alone on stage. One of the things that impressed me most about the performance was Colm Mac Con Iomaire’s between-song banter. He deftly explains the story behind each track, giving the audience a clear visual image for the instrumentals and an added layer of depth for the songs. Colm Mac Con Iomaire is naturally humble and self deprecating in his approach to the audience and I was impressed with the fact that almost all of his music had both a Gaelic and an English title. Overall an absolutely magical performance. The Famous Spiegeltent is a wonderful venue and perfect for this kind of intimate performance. Highlights of the night included “The Red Road”, “Emer’s Dream” and his rendition of the Scottish lullaby “Hush, Hush” although every single tune was a gem. Colm Mac Con Iomaire is simply amazing. It was only a matter of time before someone did it. Inspired by Jon Boden’s blog and podcast A Folk Song a Day, John Thompson (one half of popular trad and contemporary act Cloudstreet) has decided to try his hand at producing 365 folk songs on his blog, this time all Australian. The blog, entitled An Australian Folk Song a Day, began rather aptly on Australia Day and can be found here. The first song off the rank, “Moreton Bay” is below as performed by Cloudstreet. It’ll be really interesting to see where the project takes Thompson.